Travel New England’s Rails & Sails at the Princeton Public Library on Tuesday, Feb. 20. 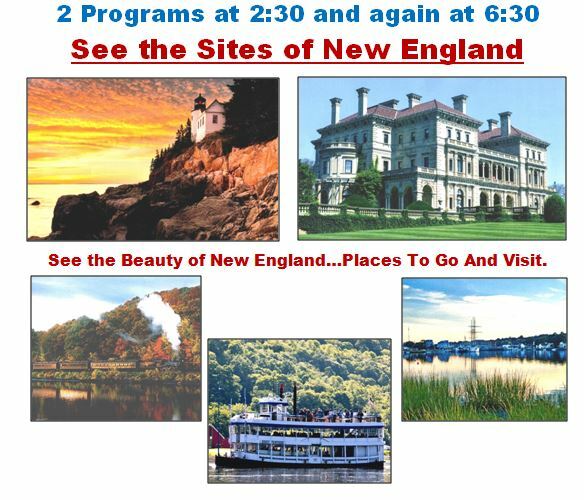 Co-hosted by Experience Travel in Princeton, the program will explore the beauty of Maine, New Hampshire, Vermont, Massachusetts, Connecticut, and Rhode Island. Many are coastal sites. Some of the places are seen from a cruise boat, others by steam train. There will be two repeat programs, one at 2:30 and one at 6:30. This program is free to attend and all are welcome.